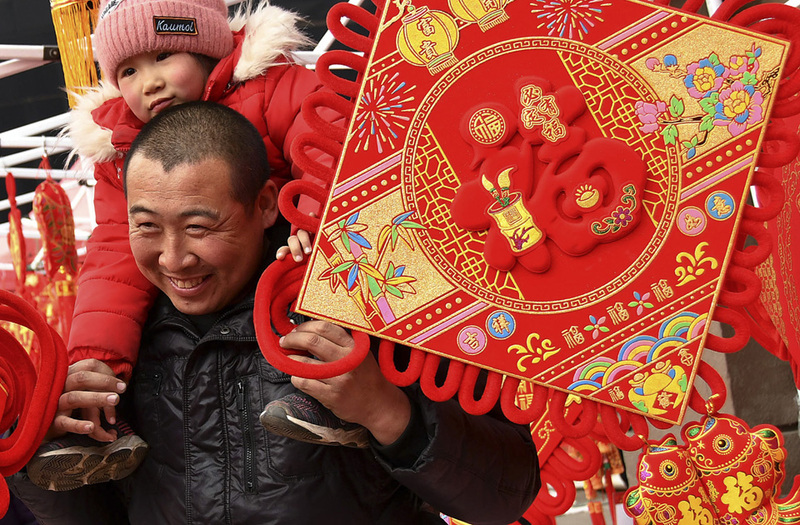 A man carries a child walks by Chinese Lunar New Year prosperous decorations on sale at a market in Yantai in east China's Shandong province, Sunday, Feb. 3, 2019. 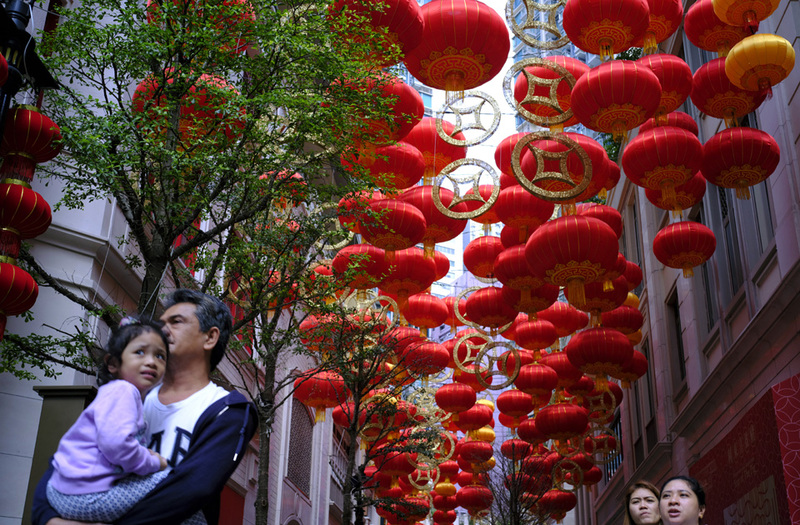 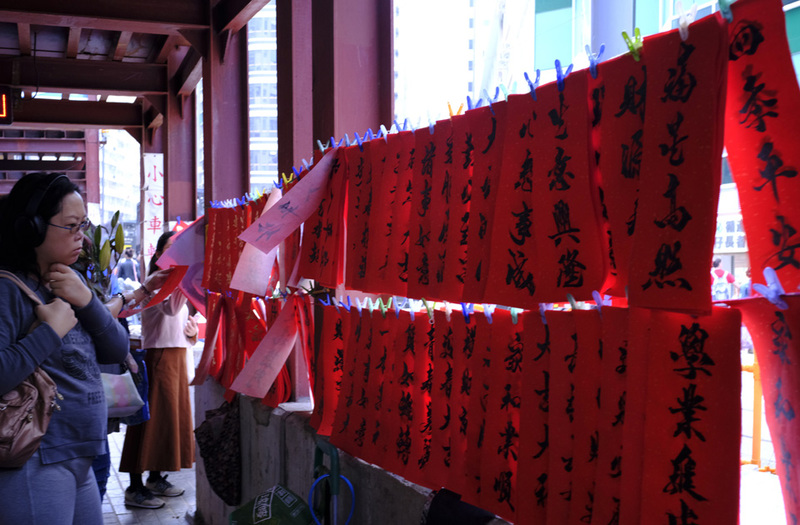 People buy Chinese New Year decorations at a street in Hong Kong, Sunday, Feb. 3, 2019. 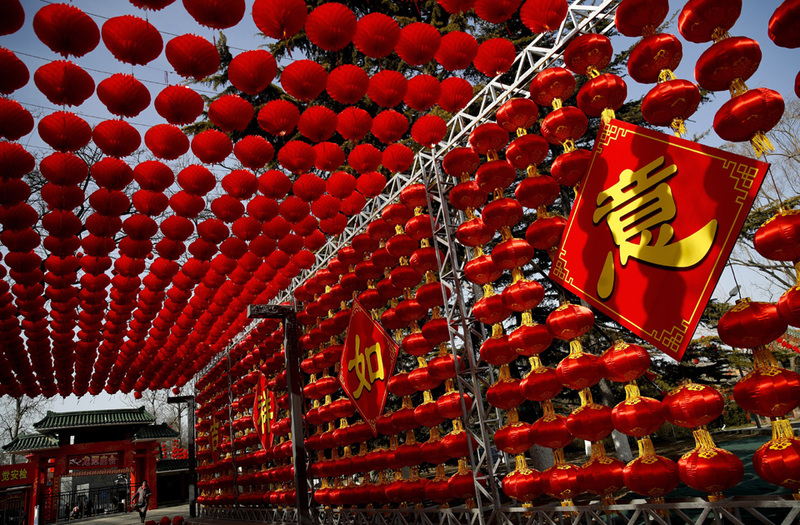 Chinese will celebrate the lunar new year on Feb. 5 this year which marks the Year of the Pig in the Chinese zodiac. 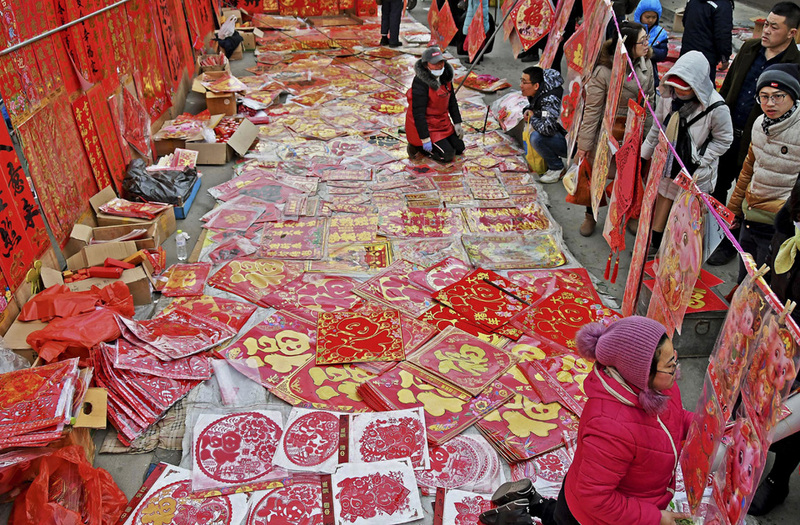 People shop for Chinese Lunar New Year prosperous decorations on display for sale at a market in Yantai in east China's Shandong province, Sunday, Feb. 3, 2019. 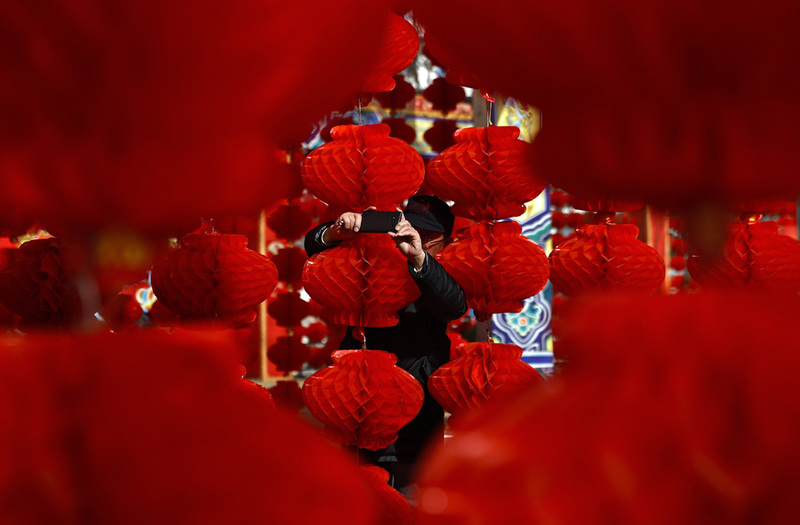 A woman walks by the red lanterns decoration on display at the Longtan Park for a temple fair ahead of Chinese Lunar New Year in Beijing, Sunday, Feb. 3, 2019. 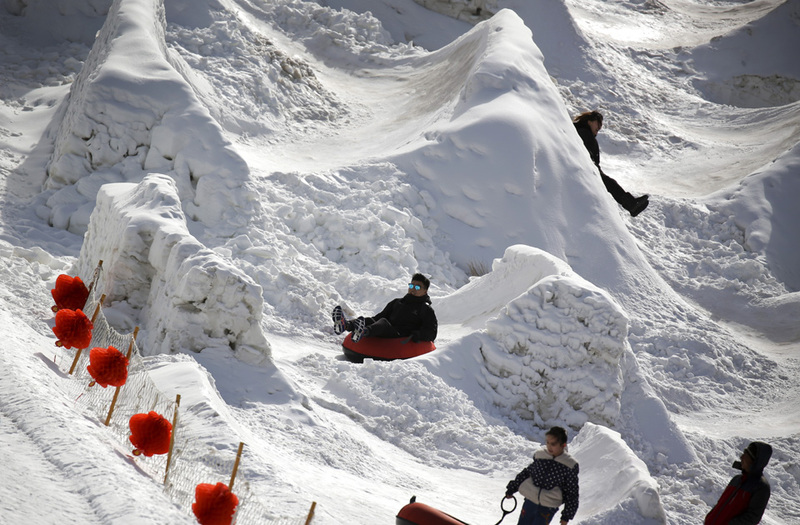 People play tubes sled on snow at the Longtan Park decorated with red lanterns ahead of Chinese Lunar New Year in Beijing, Sunday, Feb. 3, 2019. 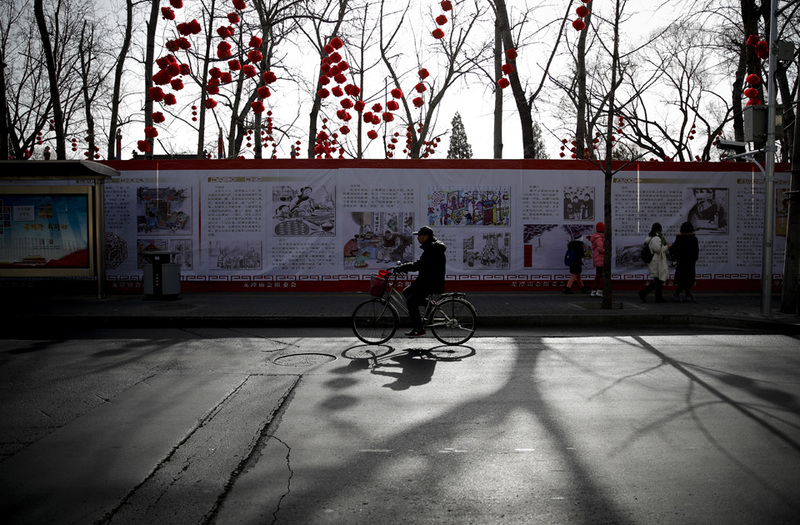 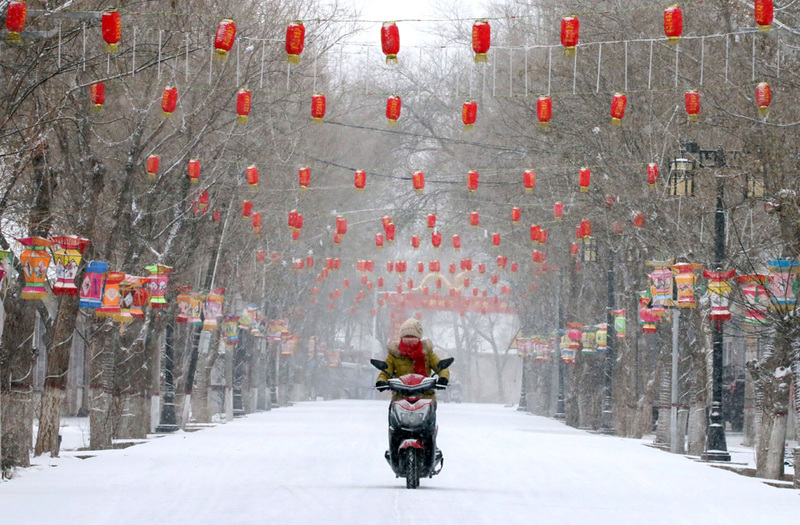 A man on bicycle moves past the Longtan Park displaying red lanterns for a temple fair ahead of Chinese Lunar New Year in Beijing, Sunday, Feb. 3, 2019. 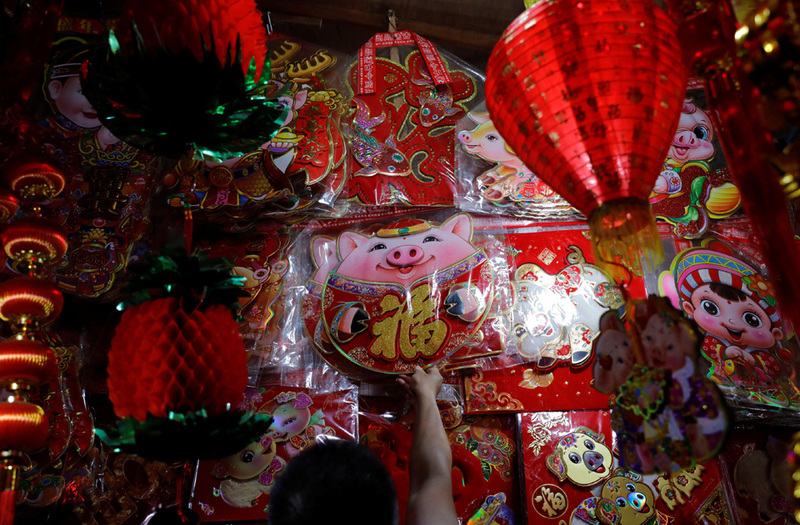 Chinese around the world will celebrate Lunar New Year on Feb. 5 this year which marks the Year of the Pig on the Chinese zodiac. 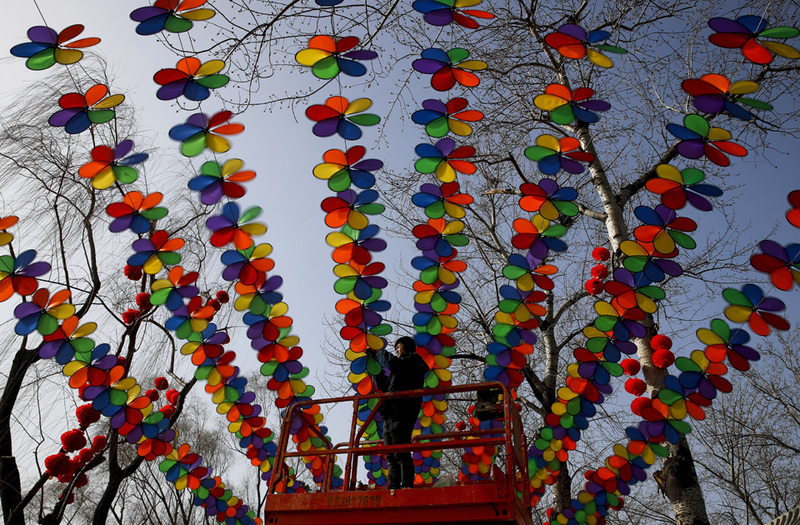 A worker fixes the windmill plate decoration on display at the Longtan Park for a temple fair ahead of Chinese Lunar New Year in Beijing, Sunday, Feb. 3, 2019. 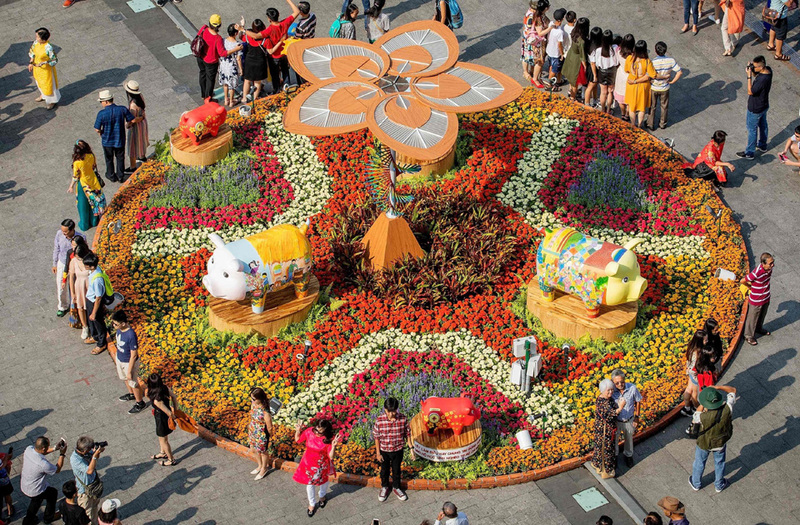 Visitors pose for photographs in front of pig figurines at the Nguyen Hue flower street, decorated for the upcoming Lunar New Year or Tet celebrations in Ho Chi Minh City on February 3, 2019. 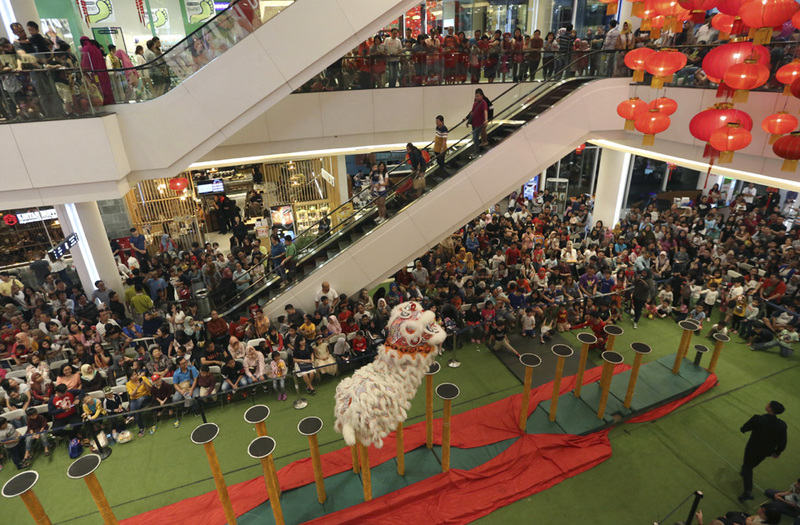 Photo visitors watch a lion dance to celebrate the upcoming Chinese New Year at a shopping mall on the outskirts of Jakarta, Indonesia. 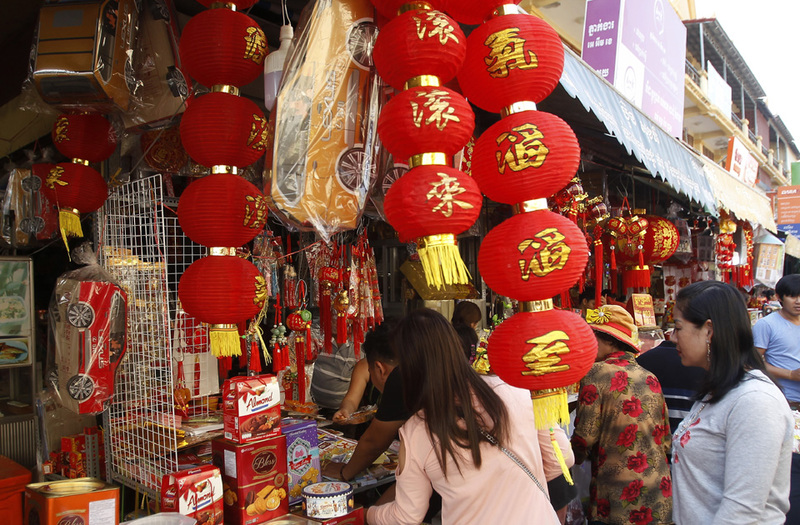 Cambodians buy red lanterns for Chinese Lunar New Year celebrations at a local market on the outskirts of Phnom Penh, Cambodia, Sunday, Feb. 3, 2019. 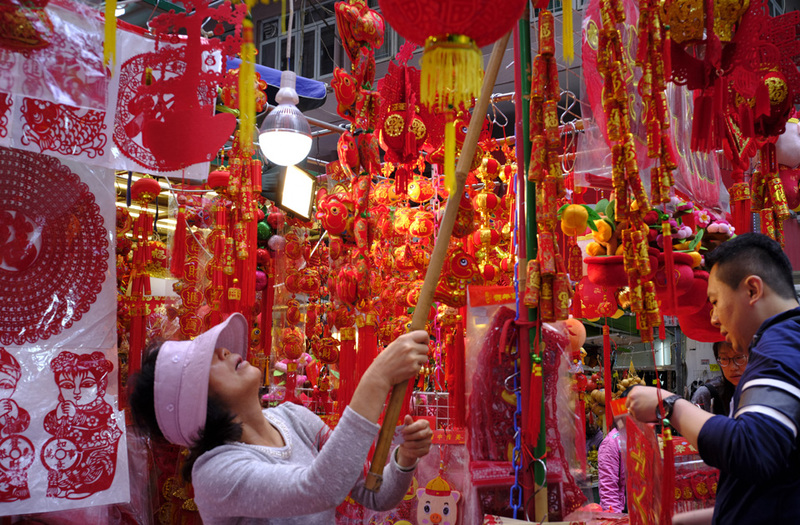 A man reaches for a decoration for the upcoming Chinese Lunar New Year as he shops at a traditional market in Jakarta, Indonesia, February 2, 2019. 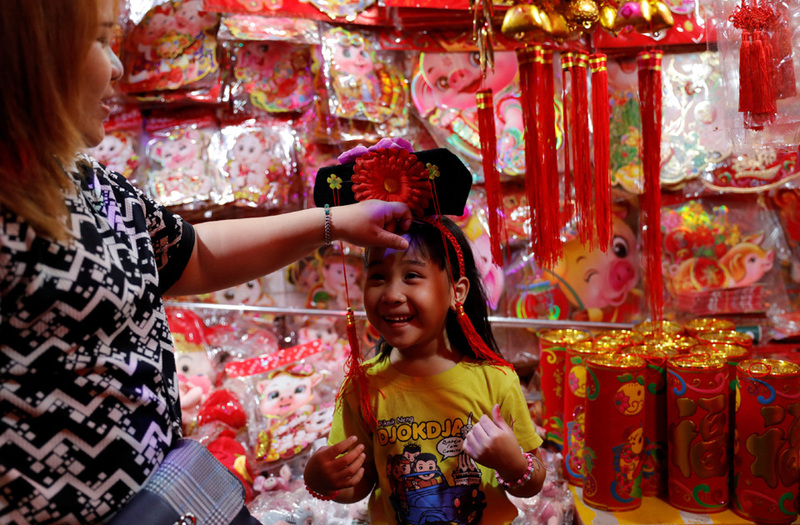 A girl tries a hat on as she shops at a traditional market ahead of the Chinese Lunar New Year in Jakarta, Indonesia, February 2, 2019. 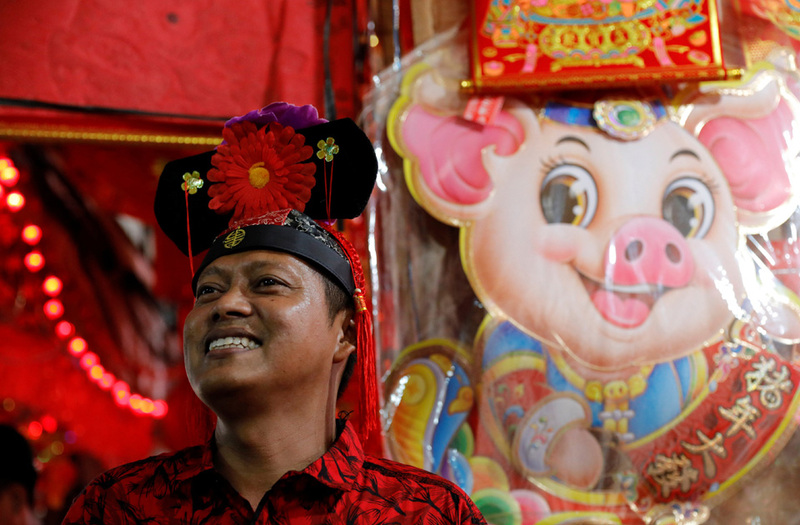 A vendor wears Chinese traditional cap as he waits for customers inside his stall at a market ahead of the Chinese Lunar New Year in Jakarta, Indonesia, February 2, 2019.